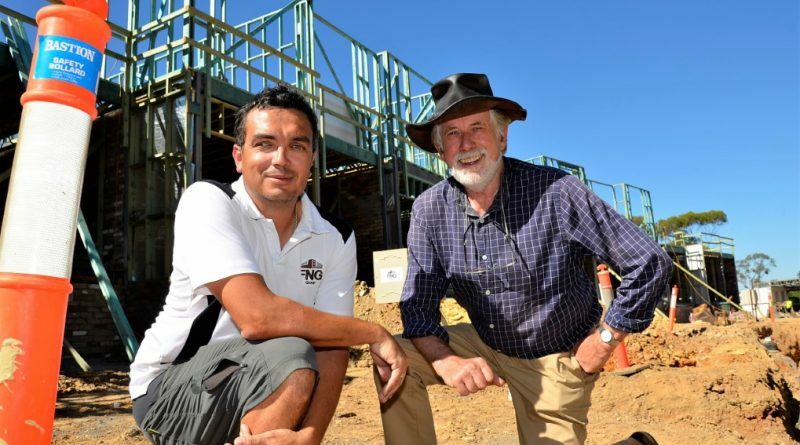 The first residents are expected to begin moving into Castlemaine’s new cutting-edge eco village housing development, as early as this September. The Paddock Eco Village is being developed on a site off Castlemaine’s Reckleben Street by a team – that includes architects, a landscape architect, town planner, civil engineer and energy consultant – led by local enviro-entrepreneurs Neil and Heather Barrett. Last week Mr Barrett and builder Justin Ferguson, director of FNG Group, accompanied the Midland Express on a tour of the site where the first eight buildings comprising stage one are taking shape. They include seven 8.5-star energy rated, solar-powered double-storey houses – all of which have pre-sold – and the community centre which will include short stay accommodation for residents’ guests or visitors interested to see what The Paddock concept offers. The Paddock is being developed in line with the Living Building Challenge with a main aim to demonstrate that it’s possible to live well with a low-carbon lifestyle. “I like this shift towards the future of building with the need to think proactively about sustainability and the built environment,” Mr Ferguson said on site. “Little things can be done to make a big difference. “The project’s going well and we’re on schedule although we’re having a fairly testing week this week with the hot weather. Work on site and the buildings taking shape have been generating quite a degree of interest. “A lot of people have been stopping (on Reckleben Street) to see what’s going on,” Mr Ferguson said. The project will ultimately see 26 architect designed 8-plus star energy efficient private homes built, and residents expect to enjoy an enhanced sense of community and self sufficiency with a central community vegetable garden among the features. “It’s a really path-breaking project. There’s nothing like it that’s being done according to such strict environmental criteria,” Mr Barrett said. “The initial impetus was not to make money but to say – you don’t need such a big house. “It’s tending to appeal to people interested in greater self sufficiency. The first seven houses have pre-sold to a mix of buyers from the local area and from metro areas of Melbourne and Geelong. 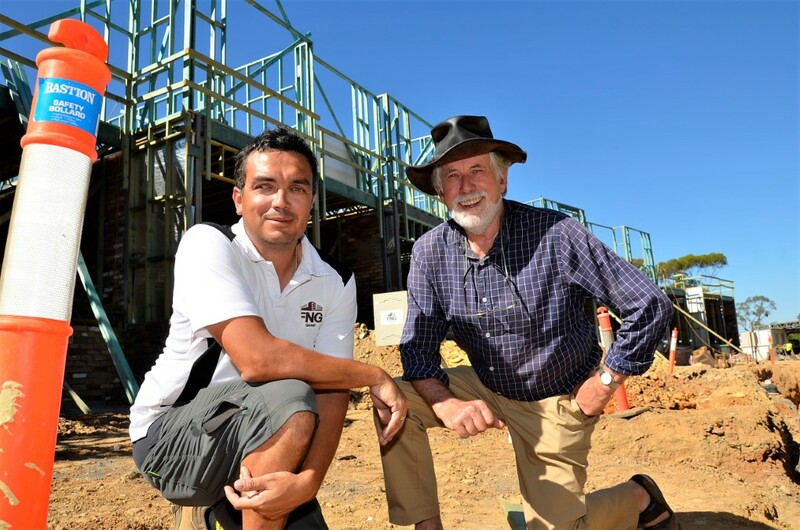 “The first stage including the first seven houses and the community centre should be completed by September this year and then we immediately start construction of stage two which is another eight houses,” Mr Barrett said. “So we will be advertising stage two in late April-May this year and hopefully we’ll have it fully subscribed. Mr Barrett said that to date buyers had included young families, singles, working people and retirees. 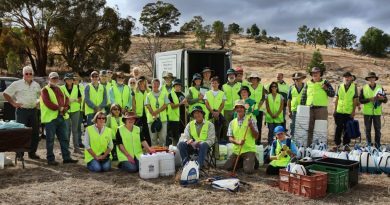 The passionate members of the Tarrengower Cactus Control Group have been recognised with a national award. 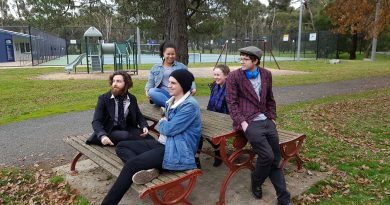 Youth Strategy co-designers (L to R) Lachlan McKenzie, (Back) Tara Kankindji, (Front) Kyle Hayes, Bec Barker and Kieran Atkins. 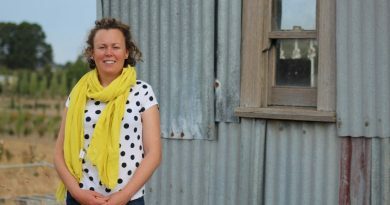 Kyneton's Claire Moore has won the AgriFutures Rural Women's Award.